Good Day to all you Ghost Riders out there!!! 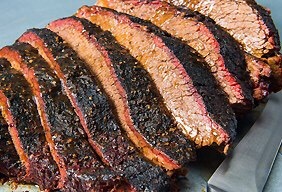 We have been busy booking BBQ50 events through August and into September!! We are also filling our weekdays with Dr office luncheons and corporate office visits. Keeping in the spirit of small batch BBQ, we only take a couple of event bookings a day. Please call Dan @ 407-929-9350 to book and customize your next BBQ50 event!! We deliver our slow smoked goodness just about anywhere in the area!! If you have a minute, please like us at our BBQ50 Facebook page!! If you’ve already tried our delicious BBQ, please be gracious and leave your review on our BBQ50 BBQ Catering page on Yelp!!! Until next time, see you around the smoker!! Previous Your Chance To Vote And Make History America!! !